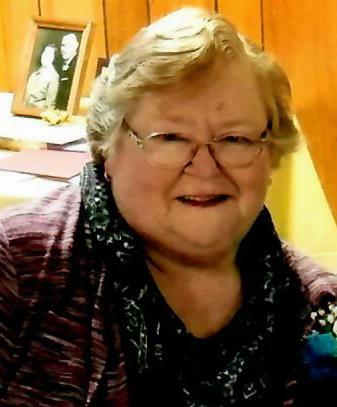 Betty M. Sturgeon, 74, went to be with her Lord April 2, 2019. Born March 15, 1945 in Perry County, Indiana, she was the daughter of the late Oscar and Anna (Kellams) Scott. Betty was a seamstress and enjoyed crocheting for Knits and Knots. She was a member of the First Baptist Church in Cannelton and a member of the OAKS. Survivors include her husband, Alvin of Cannelton; brother David (Sherry) Scott of Owensboro, KY; daughters, Becky (Mark) Northener of Cannelton, Anna (Paul) Seifert of Evanston; son, David (Melissa) Sturgeon of Greenville; grandchildren, Sam Snyder, Charlie Northener, Kayla Seifert and Logan Northener. Preceding her in death are her parents; brothers, Bob Scott, Bill Scott, Charlie Scott, Jimmy Scott, Forrest Scott; and sisters, Louise Blake and Mary Emma Scott. Funeral services will be held at 10 am Thursday, April 4 at Zoercher-Gillick Funeral Home with Bro. Darren Gibbs officiating. Burial will be in Greenwood Cemetery. Visitation will be from 2 – 7 pm Wednesday, April 3 and from 8:30 am until Service time Thursday at the funeral home. Memorial contributions may be made to the First Baptist Church or to the Knits and Knots program.